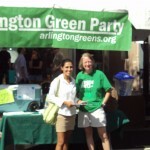 Libby Garvey, the Arlington County Board member who is trying to retain her seat in the Nov. 6 election against two challengers, has made up her mind on the Columbia Pike streetcar. She’s against it. The controversy over whether to put a streetcar line down the curb lanes of the busy street has been one of the most contentious issues in Arlington over the past year. Garvey, 61, a Democrat who won a March special election for the seat, abstained from voting when the board endorsed the streetcar July 24. That abstention has drawn significant fire from Republican candidate Matt Wavro and Green Party candidate Audrey Clement, who have opposed building the 4.5-mile streetcar line for months. Garvey said she was studying the issue and waiting for more information, and last week she got it. “I now believe a modern, bus rapid transit system is by far the best system for Arlington and the region,” she said during a Patch.com candidates’ forum at Arlington Independent Media on Thursday. “Just this week a real cost-benefit analysis came over the transom into our offices and I’ve read that and it absolutely confirms everything I’ve thought . . . not only because of the tremendous difference in expense. I think we can get a much better quality of service because of the connectivity a BRT system can provide. The cost-benefit analysis was a 33-page document written by Peter Rousselot, an attorney and transportation consultant and former chair of the Arlington County Democratic Committee. The report concluded that a modern BRT system would cost one-fifth to one-half of a streetcar system, while achieving the same goals. A BRT system could be in place faster and would help the redevelopment of the Columbia Pike area, it said. Whether the report or Garvey’s position will have any impact on the decision is unclear. The County Board voted 4 to 0 to support the streetcar, and the Federal Transit Administration is expected to decide by year’s end whether to endorse and fund about one-quarter of the project. Wavro, 32, a human resources consultant making his first bid for elective office, prefers a system of articulated buses on the Pike. But his main concern is with the all-Democratic board, which he said does not listen to all points of view on a variety of issues. He said housing services for people who make less than half the area’s median income should be continued, but that the county should stop directly funding housing. Negotiating with private developers to swap development rights for market-rate affordable housing is the better way to go, he said. “The policies of this board have made it more expensive for businesses to rent, not less,” he said. He urged the elimination of the county’s commercial real estate property tax. Like Wavro, Clement supports the hiring of an independent inspector general to scrutinize local spending. Clement, 63, a computer programmer who is making her third try for county office, said Arlington needs a public housing authority to combat higher rents and wants developers to pay more of the infrastructure costs their projects create. She’s also concerned with the county government’s “profligate capital spending,” pointing disapprovingly to the board’s support of an indoor aquatic center at Long Bridge Park, the money-losing Artisphere and the Columbia Pike streetcar line. Eliminating those kinds of capital projects, Clement said, would allow libraries to be open seven days a week, solar panels to be erected on all county buildings and a green jobs project to be created. She also pledged to roll back real estate taxes. 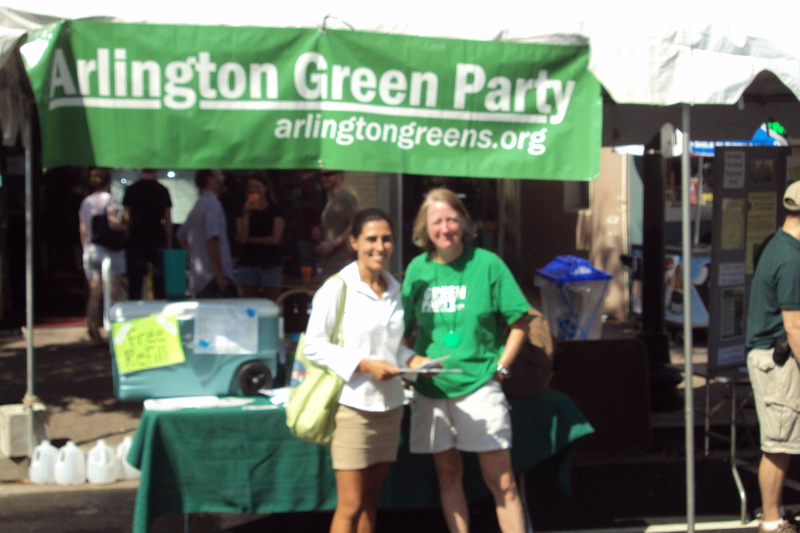 Garvey, who describes herself as both an independent and a team player, warns that Arlington’s “comparative advantage is slipping” for businesses, which pay half the county’s tax revenue. The cost of housing, the coming expansion of Metro into Loudoun County and the increasing commercial rents also create challenges. The National Science Foundation’s lease expires next year and other knowledge-based organizations such as the Defense Advanced Research Projects Agency and Virginia Tech’s Research Center, as well as long-standing private organizations, are constantly tempted with lower-cost locations elsewhere. Garvey also supported negotiations to buy an office building near the county courthouse for government offices and a year-round homeless shelter. Neither she nor the other candidates wanted the county to use eminent domain for the purchase, but Clement and Wavro said the county is willing to spend too much. Garvey has the edge in campaign contributions, reporting $45,449 in cash donations through Aug. 31. Wavro followed with $4,345, and Clement raised $3,966. The county routinely elects Democratic office-seekers, and the national election this fall is expected to bring out large numbers of voters. Garvey, a 15-year veteran of the School Board, allowed that this was not the toughest campaign she has weathered. “I’m confident, but you never want to take any election for granted,” she said.